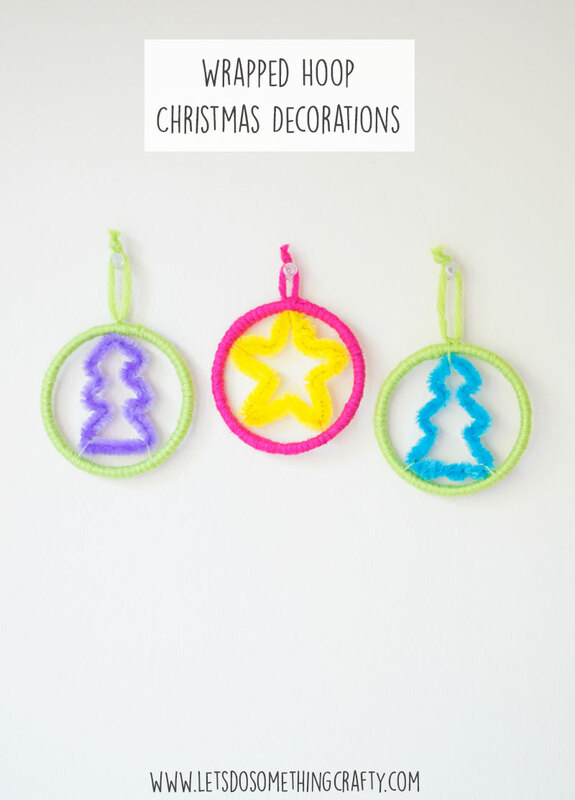 These wrapped hoop Christmas decorations are easy to make and look really bright and colourful. I found the plastic hoops in my local scrap store along with lots of other craft supplies for next to nothing. I started by wrapping yarn around them leaving a loop at the end to hang them up. 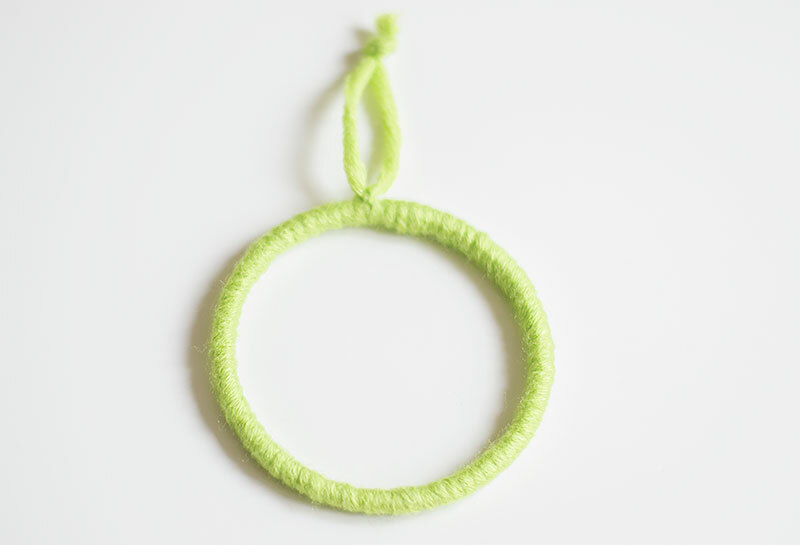 Then I made some little shapes out of pipe cleaners (check they will fit inside the circle). Finally I secured them to the inside of the plastic hoops with thread.